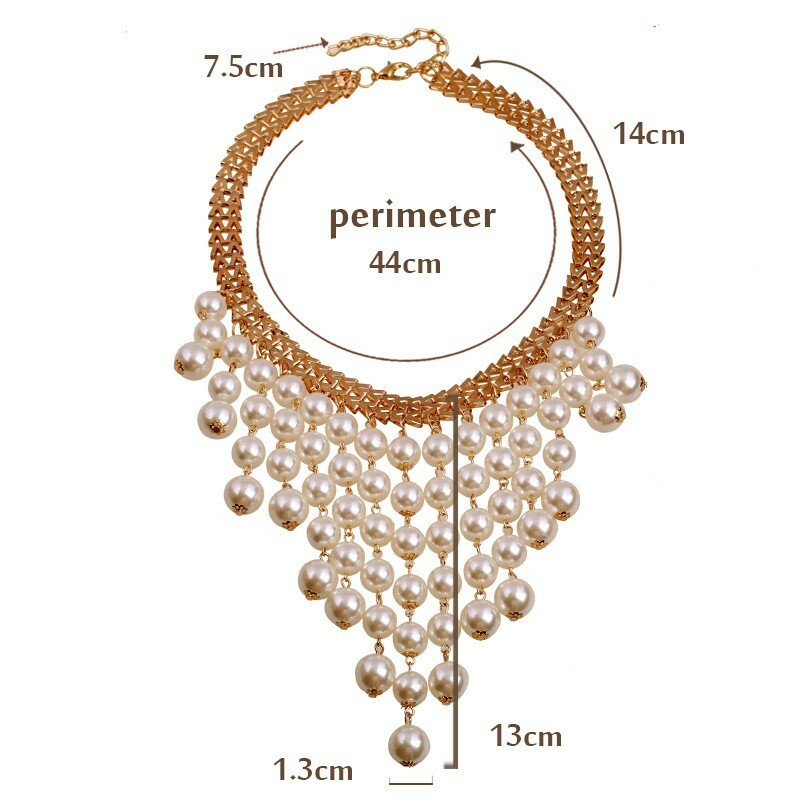 This fashion delicate big pearls statement necklace design for boho tassels style , the features is many big or small round shape white pearls and yellow gold chain form unique bib tassels shape, looks very beautiful. 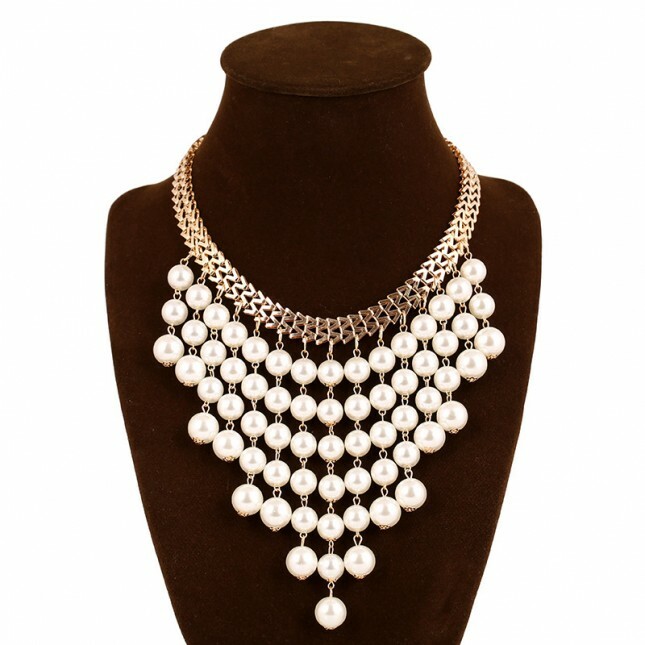 The necklace chain made with high quality alloy,the most outside drop pearls diameter is 13 mm . This long chunky pearls necklace is very fit for bridesmaid and wedding party.